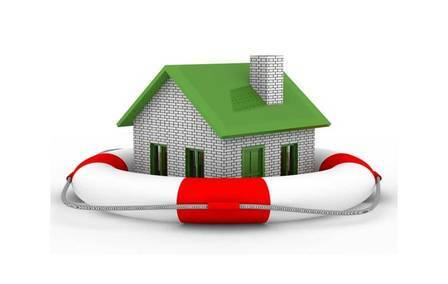 Buy the right insurance: It is important for us to purchase the right insurance. In this case, we need to know what we should have and we need to be properly covered. Insurance policy for our house could be determined by living expenses when we are forced out, liability to others, our personal belongings and the overall house structure. If there’s a severe disaster, we need to make sure that we able to fully rebuild our house and everything can be replaced. The cost of making the house fully liveable again can be quite high and it can be difficult to obtain if we don’t have the proper protection. Obtain replacement value insurance: We should know that insurance policy isn’t the same with garage sale. In this case, how much our possession may fetch on the market can be irrelevant. It is better to make sure that coverage for content insurance cover the purchase of new items. It is nearly useless to obtain coverage for present values of the items, because we won’t be able to replace them fully. Thoroughly understand the claim process: Two policies from different insurance companies may offer identical coverage, but they can be significantly different when related to claim process. We should know how the claim should be handled, especially when we want to write a check. Company should pay us for everything that we have lost. Some of the claim processes can be quite straightforward, but others could be quite complicated. Take an accurate and thorough view on inventory: There are steps involved when we plan to file a claim. We will need to prove that we own an item and we can verify its worth. It would be much easier if we have the item, although it is already nearly destroyed during the disaster. You can get with a company like Roof Worx to get an assessment of the damage to give to your insurance company after a disaster as well. We will need to go through our house with a video camera and we may rent one if we no longer have it. However, clear videos taken from smartphone should suffice. We need to do quick sweeps in each room and every important detail should be included. We shouldn’t forget offsite storage area, closets, basement and attic. After we have fully documented our house, it is important to make multiple copies and they should be included with a copy of our policy document. Buy floaters: Home insurance providers often limit the amount we can claim on specific big ticket items, like fine collectibles, furs, jewelry and others. It means that we may need to have a floater or a special policy. If we lose the item, we will be reimbursed by the floater. If the item is an antique object, we need to perform an appraisal. Consider inflation: We should know that new items are increasingly more expensive and it may cost us higher to rebuild the house and replace the content.